this mobile is the best of all.do try to buy that because it has got lots of software. I have a problem with my PC Suite for Nokia 6600..My PC detects the phone,my Suite says its connected (via infrared), but on the bottom right it always says offline..can anybody help me?Thanks b-4! hey guys...nokia 6620 beats 6600.it has edge technology.unless there is any way we can upgrade our 6600 so that it will have edge technology.is there any way we could do that? It has great organizer features, there is space for up to 2000 names in notebook(12 numbers,2 mails,2 webs each,photo call id for 100 of them, but you may add/remove details of one contact, you may allso rename tasks and make now one). Calendar is grat allso. It is simple, nice looking and has even more features than those on PCs and MACs. Organizer features beat computers. Need more details on the Organizer functions, if the phone does have one? Pls reply ASAP! Nice features, but the pictures still can`t be compared to those made by Sharp. And, sincer ba baieti, telefonul asta arata ca o pula. 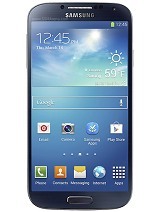 By the way... how can i have one of this phone for free?There is any contest for that..with this phone as a prize? Please anyone let me know that in my e-mail address... With respect memo from Romania !!! Nokia 6600 it is the best phone from all times ! He has alot of all the needs that we all are looking for.Go for it !!! Keep it that way... and you will still remain the BEST!!! With respect memo from Romania !!! this is the best fone in the history of cellfones!! !its the best!!! How can I play MP3 using the 6600? I see you are as much as in love with the n6600 as i'am.I just got my phone 2 weeks back and would like to know from which sites could i download some aplications for the phone!!! Plz could an1 suggest good FREE sites for these aplications.Where could i get free themes for the phone?? ?And i'am facing a bit of a prob with the battery....it gets over within half a day!!! Hope 2 get an answer from u soon.